KEYFAX is a fresh, new online store with old school experience and values. We believe that you want the convenience, choice, and price-advantages of shopping online, but that you also want qualified information about the products you’re buying. And we believe that you’ll want to be able to understand and use the products to the max when you get home. KEYFAX is an online store that specializes in music production. That means we sell a full range of products and services based around what used to be called ‘recording.’ This ranges from DAWs, to microphones, to plug-ins, to monitors, but also includes acoustic treatment, and mastering services. Plus KEYFAX offers a wide range of downloadable instructional video so you can really get the most out of your purchases. 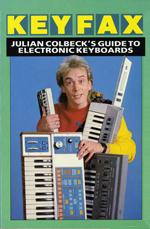 In 1990, while on tour with Yes supergroup ABWH, Julian came up with the concept of MIDI samples that would form the basis of the Twiddly.Bits loop libraries. Keyfax ‘the company’ was initially set up to distribute the libraries. Twiddly.Bits instantly grabbed the attention of sequencer users and the world’s music press and new libraries continue to be produced to this day. 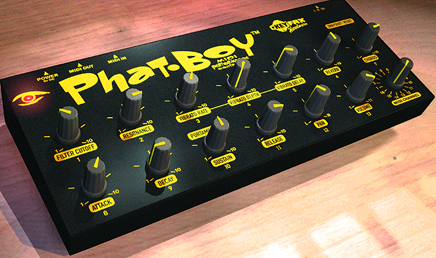 By 2001, Twiddly.Bits were not only being sold in their own right, companies were licensing them to put inside hardware workstations and beatboxes - notably the Yamaha Motif series. Coinciding with this, Keyfax created a brand new support website for the Motif, the groundbreaking Motifator.com. Motifator, along with subsequent specialist sites DTXPerience.com, SteinbergUsers.com, ArrangerWorkstation.com, Tenori-onUSA.com, and others, have enjoyed great success over the past decade; supporting these products with tutorials, videos, content libraries and more. Additionally, these sites have included highly successful online retail stores selling accessories and other related products. The Keyfax site SteinbergUpgrades.com has also successfully and exclusively sold Steinberg’s US product upgrades from Cubase SX-2-3, to Cubase 3-4, Cubase 4-5, Nuendo 3-4, and many others. Keyfax’s experience with video actually pre-dates Keyfax. CEO Julian Colbeck wrote and presented the best-selling series Getting The Most Out Of Home Recording back in 1989. In 2001, Keyfax re-visited the medium with the first Motif DVD Get Motifated!, which went on to sell more than 20,000 copies. Since 2001, Keyfax has produced more than 20 DVD titles and currently has its own video production suite and audio recording studio. 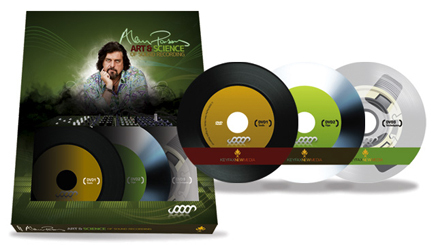 In 2010 Keyfax releases its latest project, Alan Parsons’ Art & Science Of Sound Recording. Today, Keyfax NewMedia occupies some 7000 sq feet of offices, studios, and warehousing in Santa Cruz, California. In addition to being a full-range media company, the name KEYFAX is set to become a major player in specialist online retailing. Well, ‘lowest prices on the planet’ is just where we start. When you purchase at KEYFAX you are tapping into a wealth of experience and a world of opportunities for improving your skills in music production. We not only sell music production equipment, we use it in new audio and video projects that our network of engineers, composers, and videographers are undertaking every single week. Whether you are a seasoned professional looking for solid, professional customer service and supply – a high end mic delivered next day to a session in New York - a working band looking to stretch their hard-earned dollars as far as they can be stretched – a DAW and mic pre combo with a clutch of SM57s - or someone brand new to this exciting but often confusing and potentially frustrating environment, KEYFAX will care, will give you the information you’re looking for, will deliver. We guarantee the experience you’ll have in our store will be the best you’ve had anywhere - online or on land. Welcome to a new experience in music production retailing.